Carbs and fats are important, but protein will always be king in my book. No matter what you are trying to accomplish, getting enough protein is key. There may be a debate on how much is enough but I usually recommend that my clients get between 0.6 and 1.0 gram per pound of bodyweight. Knowing how much to eat is the easy part. Actually getting the right amount of protein can be a bit tougher. Some people get bored eating chicken every meal and there are others that just don’t eat meat. A lot of times my job ends up becoming finding people ways to get enough protein. Yes there are protein shakes, but I’d rather get as much real food as possible and not as many supplements. So after you take out all the meats, fishes and shakes, there are two main sources of protein that I like: eggs and cottage cheese. Since I already discussed the benefits of eggs in a previous article, I wanted to give cottage cheese it’s due as a good food for muscle building. It’s not a perfect food though. So here we go, the good, bad and ugly of cottage cheese. There are so many different types of cottage cheese. Small curd, large curd, 1% low-fat, 2% low-fat, non-fat, organic, no-salt, and so on. For the examples in this article I’ll use 2% milkfat which is considered low-fat. The actual numbers of the cottage cheese you use will be slightly different if you use something else. I picked 2% because most stores will have this type. Some of the others are missing from some grocery stores. So what is are the important Cottage Cheese Nutrition Facts? The conversation has to start with the protein content. Cottage cheese is a good source protein. 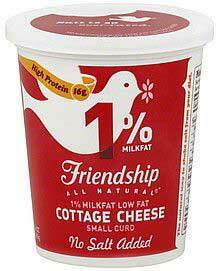 100 grams of the standard 2% milkfat cottage cheese is going to give you 12 grams of protein. Ba-Boom. If you compare that to another popular dairy product, traditional Greek yogurt will give you about 8 grams of protein per 100 grams and non-fat Greek yogurt will give you 10 grams of protein. In terms of protein content, cottage cheese wins out when you compare it to the other high protein dairy products. The good thing about the protein from cottage cheese is it is a complete protein (as are all other animal-based protein sources.) 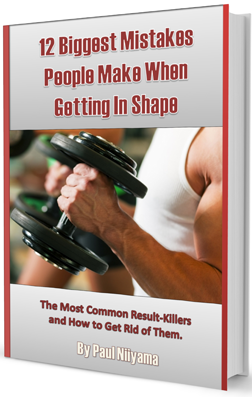 This means it has the correct amino acid profile that can be used for building muscle. With incomplete proteins (like those found in many plant-based proteins) you need to scramble around for complimentary foods that will make up any lacking amino acids. The best thing about cottage cheese is not just the protein. It’s the type of protein. It’s high in casein protein. This is one of the proteins found in dairy products. The reason casein is useful is because it is absorbed slowly into the body. This makes it a great late night food if you are trying to put on muscle. If you eat your cottage cheese at night, your body will have a protein that it can slowly digest while you are sleeping. This means during the time that the body actually builds muscle, the thing it needs to do that (protein) is readily available. There is also casein protein powder that does the same thing but I always try to get real food as often as possible. Cottage cheese also good in the morning if you know you aren’t able to eat for a while. 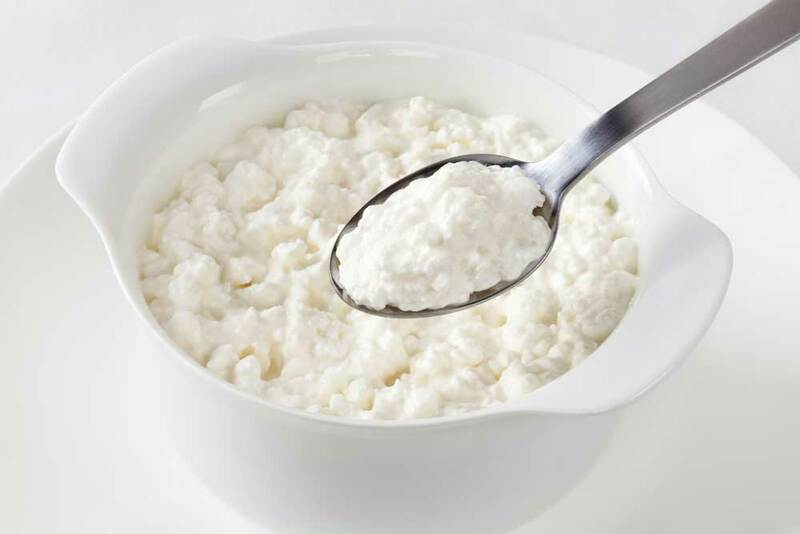 In addition to the protein, cottage cheese is also a good source of Riboflavin, Calcium, Phosphorus and Selenium. Let’s start with the elephant in the room. COTTAGE CHEESE IS DAIRY. That means not everyone can eat it. Most people are aware that there is such a thing as a lactose intolerance and some have even experienced it. Lactose is a sugar found in dairy products. It is hard to digest for some people and there are some that even have an allergy to it. The other major digestive issue people have with dairy is an intolerance to casein protein. Yes, the thing that makes cottage cheese so good, actually causes problems for some people. Lactose and casein are the two main reasons that people have problems with digesting dairy products. This digestive issue is the reason that dairy products can lead to inflammation for some. 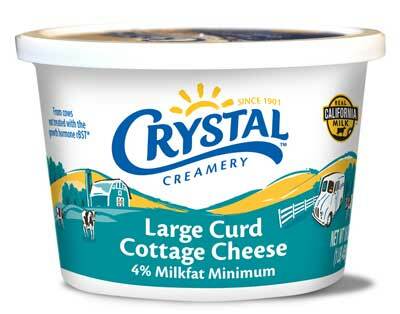 OK, If you are reading this far then I’m guessing you’re OK with the dairy aspect of cottage cheese. The other major issue that a lot of cottage cheeses has is the high sodium. Some sodium is necessary but too much can raise your blood pressure and increase your risk for heart disease. Yes, you have some no sodium varieties but they can be hard to find. Of the 5 grocery stores that are reasonably close to me, only one of them has a no-sodium cottage cheese and it’s not always in stock. For 2% cottage cheese you are looking at 330mg of sodium which is 14% of the RDA. This can add up if you are eating a normal size portion. 100 grams is a nice round number I’m using for an example but is way smaller than the standard amount someone may eat. To the best of my knowledge, humans are the only species that continues to drink milk after infancy and we are the only species that drinks the milk of other animals. When you think about it it’s kinda strange, but we’ve been doing it for so long that most people don’t even think about it. So while drinking milk from a cow may be a little strange, the real ugly comes from the dairy industry itself. Most of the dairy products you find in your grocery stores come from cows that have been pumped full of chemicals and hormones. In addition, it’s no secret that factory raised animals are raised in cruel conditions. 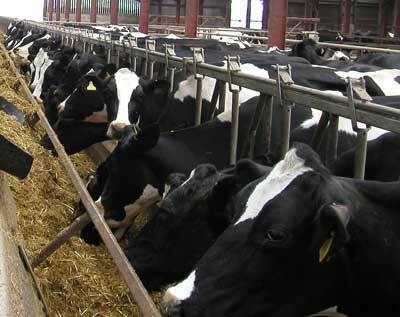 Most dairy cows have their newborns taken away from them and are injected with drugs that make them produce more milk. There are organic cottage cheeses out there which are less “ugly.” The standards for a dairy product to be labeled “organic” means the herd needs to be free of antibiotic and other chemicals and requires the cows to be in pastures at least 4 months of the year. Greek yogurt wasn’t as popular back in the day as it was now, so one of my favorite snacks was to mix yogurt and cottage cheese. The yogurt was for the fruity flavor and the cottage cheese was for the protein. It was a pretty good snack since I was not cutting carbs. Since Greek yogurt is everywhere now, it’s a good alternative to cottage cheese since it has more protein than normal yogurt. Greek yogurt has less calories than cottage cheese so that may be a plus or a minus depending on your goal. The good thing about yogurt is the probiotics which is good for gut health. Greek yogurt will also have a lot less sodium than normal cottage cheese. If you are cutting carbs go for the plain variety instead of one with fruit or honey. If you are really looking to slow down the absorption of the cottage cheese, you can add a fat like natural peanut butter or almond butter to the cottage cheese. The slow-digesting fat along with the slow-digesting casein will really give you a nice delay to your metabolism. Like most foods, cottage cheese is not perfect, but it’s pretty darn good if you’re looking for an alternative to meat or a shake. I hoped you enjoyed this article and if you can stand some of the “bad” and “ugly” you can add this food to your list. If you have any questions, comments, or concerns you can find me on facebook or twitter. Leave me a message. I’d love to hear from you and be sure to subscribe to my newsletter where you can get access to exclusive content. Thanks for reading and don’t just live life…go SMASH IT!